Something useful sizes for dishes for 3 to 4 people. Easy to clean · It's a lifetime frying pan that is hard to rust. Because iron frying pans are easy to be rusted, proper maintenance was necessary at the beginning of use and cleaning up. Therefore, while keeping the characteristics of iron frying pan such as good in familiarity of oil, River Wright developed and manufactured iron frying pan which is extremely rust resistant. Even with an iron skillet, maintenance became easier, making it much easier to handle. Since its launch in 2006, Riverlight Co., Ltd. has continued quality improvement, realizing a beautiful iron surface with no color irregularity on rusty surface. It is also a beautiful pan in appearance. 【Special heat treatment】 By forming the "iron nitride layer + iron oxide layer" on the surface of the steel plate, it becomes extremely rust resistant and becomes a strong frying pan. Firmly store the heat and give plenty of heat to the ingredients, so stir-fry is shaky and the pottery is fragrantly finished. Every time you use it for cooking, you can ingest iron naturally. Iron frying pan is also perfect for family health, small children's meal, child-raising children's diet. Because it is subjected to special heat treatment, it solved the problem of "rust" which was a weak point of conventional iron frying pan. Painting for rust stop is not done. Therefore, there is no need for sky-grilling at the beginning of use, and there is no need to paint oil after using it. None of the usual work of using iron peculiar to conventional! It does not require troublesome maintenance, easy cleaning up. It can be used with all cooking heat sources including 200 vIH (electromagnetic cooker). However, Asian hot pot can not be used with IH cooking heater. Iron frying pan can be used forever. Teflon processing frying pan etc is deteriorated in the surface if it is erroneous or careless, generally about 2 years is the life span. Iron frying pan improves familiarity of oil for every use, it is lifelong if you use well. I can cuddle up with the same tools all my life, and attachment increases more to the extent I use it. Since there is no need to replace it, it will lead to economic and resource value. First preparation before use ... "Oil level"
As "Pole" is extremely rust resistant as its name suggests, it is not painted for rust prevention. First wash the inside and outside of the frying pan, (It is okay to use detergent.) Once you have completed "Oil leveling", you can use it immediately. In addition, before oil levelingYou do not need to bake from. 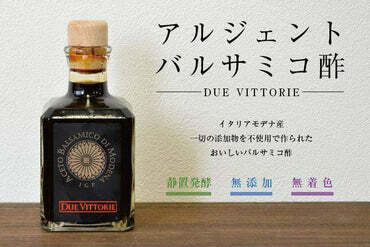 At the very beginning, please use it especially after carefully applying oil. How to match oil ① Put oil in about 1/3 of the pot's depth and heat it for 5 minutes with a low heat. 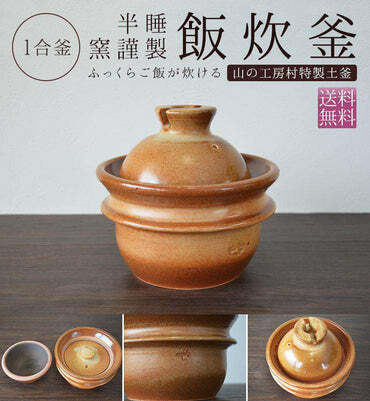 ② Stop the fire and return the oil to a container such as an oil pot. ③ Please wipe the oil remaining inside the pan with kitchen paper etc. so that it rubs evenly on the pan skin. Iron pot is not a storage container. Please transfer the finished dish to another container immediately. If you leave the dishes cooked, the iron skin may be corrupted by the salt content of the dish, acid, etc. and a hole may open. ① Please wash with hot water using a sewage or sponge while the frying pan is hot. (Dishwashers are not allowed) * Wipe off oil and dirt as much as possible with a paper towel etc before washing. ② After that, please drain off and wipe off the water drops. If you wash iron pan with detergent, "Dirty oil film" will also be dropped, please use as above. The size is common to "polar" and "polar JAPAN". Although it is excellent in durability, wood of the handle part wears out for a long time use. If rattling or the like occurs, handle and bolt can be easily replaced. To bake ingredients deliciously and stir-fry, high temperature of about 170 ~ 180 ℃ is necessary. Iron is a material that can withstand higher temperatures, but the most characteristic is heat storage and heat dissipation. In other words, it also has the property of storing plenty of heat, It has optimum heat dissipation characteristics for many ingredients. Due to this characteristic, It is possible to cook at high temperature & short time and cooking can be done without missing the umami. In Chinese cuisine, scrape the metal beads violently against the pan and stir. This is possible only with strong iron. Furthermore, even if you burn it, you can return it to the first state as many times as you like. And the biggest merit of iron is that "the oil is familiar enough to use and it gets better." Unlike Teflon which deteriorates in a few months to a few years, as long as care is taken, from parent to child, from child to grandchild, It can continue to use for decades to 100 years. Instead of "tool to replace one after another, disposable", "While favorite, It is a tool that can grow up to a better state ". From the 1960s to the 1970s, Japan was said to be in a high growth period. Rather than carefully maintaining and repairing one tool for a long time, The value of replacing the old ones with new ones one after another, It is an era when it quickly penetrated among ordinary people. It was no exception in the world of small cooking utensils. Many people throw away iron frying pans that have been used for many years, they are easy to care for and hard to burn, It was also a time to buy Teflon processing frying pan. It was "river light" that contradicted such a trend and continued to propose iron frying pan to hardness. Founder Mr. Horie Mr. Horie was originally manufacturing metal hardware for construction, "In food, clothing and shelter, the most familiar to many people, and directly connected with health and happiness is" food ". From now on I think that work in the field of "food" will be important. Then, I went to the United States and I met an iron frying pan of the American "Taylor & Eung" company. That frying pan that one of the hippies who was advocating the resurgence of humanity in the United States at that time was designed, "The frying pan is easier to maintain than the fluororesin processing one, the dish can be delicious, It was born out of the idea that a good iron-made one is superior to the body ". 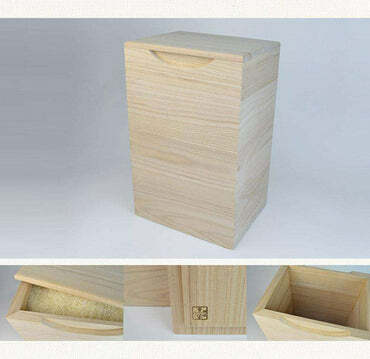 Handle is more resistant to dirt sticking, dare to familiar hands and wood made with less heat transfer. Mr. Horie watched "the origin of manufacturing" in a frying pan with a simple structure made of iron and wood. "Easy, convenient, easy" is all that is required, the meal of the child is ready for prepared dishes and instant food, There are an increasing number of mothers who can do with sweets. For families, making food that is delicious and good for the body is the essential purpose of cooking and meals, While accumulating such work and time, the child feels that "I have my hands on my hands, I will take parental affections. And we think that we need foods and tools suitable for that very important "food" site. "It is not a product that is easy to sell" pursuing only cheap price and appearance, but stands as a user, I would like to make tools that take into account the health and lifestyle of users. A good tool can improve the quality of life of the user and can also make life more prosperous. Let's make such a tool. That's River Wright's job.